3D is gaining in popularity and has an impact on everyone’s life. Many different fields use 3D technology, from architecture, to entertainment. Look at James Cameron’s movie ‘Avatar’. This movie transformed the 3D industry by using 3D concepts to create the planet in the movie. Something we hadn’t seen before in movies. Our VR & AR serious games are designed in 3D. Our artists create 3D objects using Blender, a 3D modeling suite. In Blender you can create 3D objects, animate those objects and even edit movies. 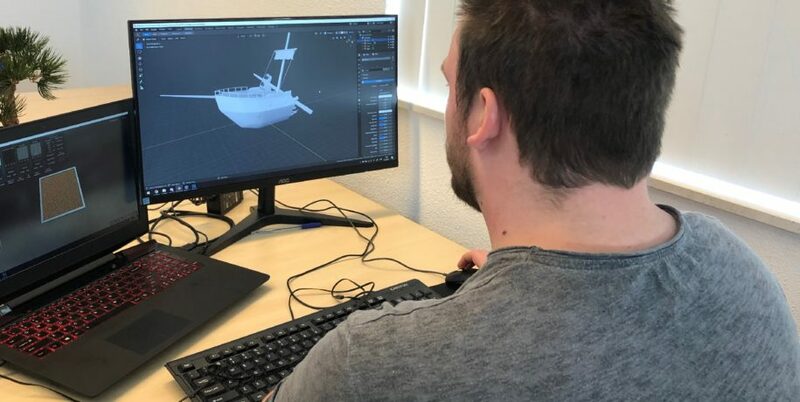 To learn more about 3D modeling we interviewed two of our artists, Joel Pellini and Lajos de Graaf. Joel: I started 3D modeling in school. After high school I started a media design course. My first year was all about 2D design. After the first year I choose to focus on 3D because I found it much more interesting. I couldn’t imagine myself working on 2D design for the rest of my career. I was also better at 3D than 2D design. Lajos: I also started 3D modeling in school. I already finished two ICT courses. Both were not super interesting. I decided to start a game design course. 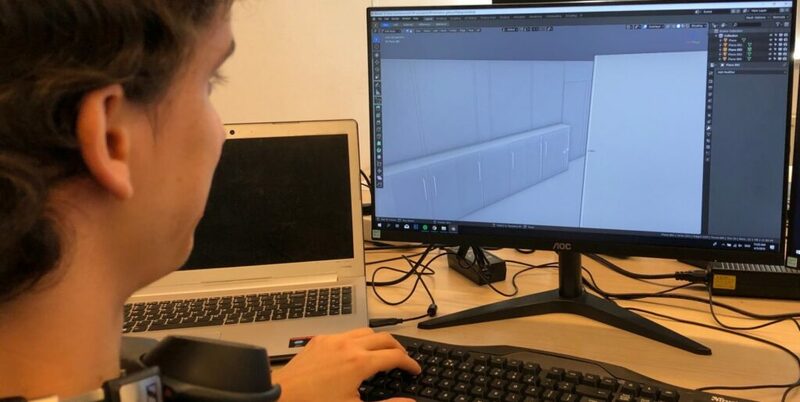 At first, to become a programmer but later I switched to 3D modeling. It seemed more fun to design games than program them. Lajos: For me, the biggest challenge was to let go of numbers. Before I started working here at VR-Innovations, and began using Blender, I was all about precision in my models. Every design had to be correct down to the millimeter. After learning how to use blender I let go of this method. On the one hand because Blender, by default, doesn’t show this information and on the other side because there is no difference in the result. Joel: My big challenge was getting familiar with Blender. In the beginning Blender can be overwhelming because of the amount of keyboard shortcuts. Every function has its own shortcut. Blender has a steep learning curve. 3D modelers need to have spatial awareness which you don’t have in the beginning. Your overcome this by lots of practice and looking at reference material. Learn from other designers. Joel: When I get a new assignment or project, I first look at reference material. Then I make a rough, low-poly, sketch in 3D. Low-poly refers to using a low polygon count. Polygons are triangles. Most 3D modeling programs and game engine use polygons. The connections between the three lines are called vertexes. Lowering the polygon count increases the performance of the game. We test the low-poly model in a game engine and the context of the rest of the game. If it works, I use this sketch as a foundation for the finished model. Depending on the project I make a high-poly version of the model. After modeling I unwrap it and give it a texture. UV unwrapping is the processes of ‘unfolding’ an object, also called a mesh. Unwrapping creates a 2D texture which fits in the 3D object. Unwrapping is a necessary step if an object needs an accurate texture. We unwrap our objects in Blender. Using a program called Substance Painter we texture our objects to give them their complete look. Lajos: My workflow is similar to Joel. Before I design anything, I first look at reference material. Most 3D artists take this approach. Together with the team we discuss what the game should look and feel like. After this I start designing the model, I will unwrap it and give it a texture. What are the differences between designing a VR/AR game versus a PC game? Joel: I work a lot on mobile VR games. The number of polygons I can use is very limited. Mobile phones aren’t powerful enough to render high-poly objects. We test every object before we use it in the game. High-poly refers to using a high polygon count. Increasing the polygons gives the object more complex detail. The downside to doing this is the decreased performance. When designing something for VR you have to think about your design decisions a lot. Parts you can’t see are removed otherwise the game can stutter. The design can’t have imperfections. PC game design can be a bit sloppy because the PC in fast enough to render those extra polygons. Also, shaders are very different. Lajos: In school I designed a lot of ‘stylish’ cartoony objects. At VR-Innovations we make realistic looking games. When designing a cartoony game, you can get away with making unrealistic shaped. For example, a bookcase can’t have an hourglass shape. It has to resemble a real piece of furniture. VR-Innovations uses Blender. But Lajos used to work in Autodesk 3ds max. How is it different? Lajos: The speed and shortcuts are very different. 3ds max doesn’t use shortcuts. Instead all functions have specific buttons. For beginners this is a good because you don’t have to remember any key board shortcuts. However, ones you learn how to use them they are really helpful and speed up the design process a lot. For beginner modelers Blender has the benefit of being open-source. Anyone that is interested in 3D can download it from their website and start using it. The internet is full of documentation and video’s about modeling in Blender. Blender 2.8 is now in beta and brings a lot of changes to the program. What changes are you excited about? Joel: The entire UI is finally overhauled and modernised. Now it looks nicer and works a lot better. 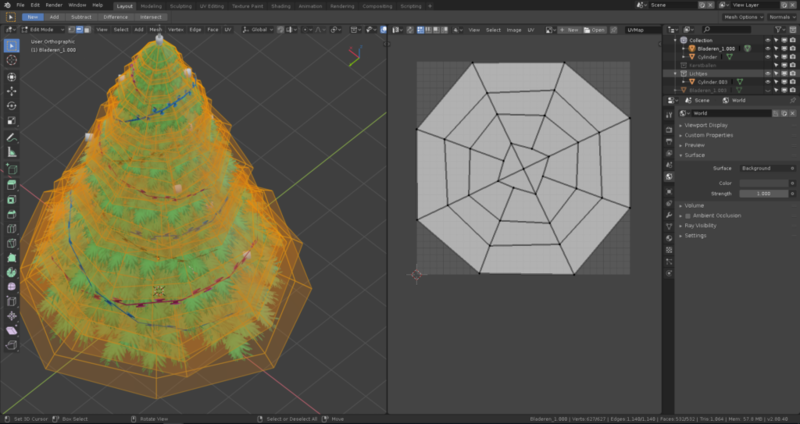 Blender now offers more ways to customise the viewport. Any tiny detail is customisable so you can make it your own. The new EEVEE render engine is also great and keyboard shortcuts are more efficient. EEVEE engine is a new feature in Blender 2.8. EEVEE is a lot faster than the old cycles render engine. It enables you to work on rendered models in real-time. Any change you make are immediately visible. This is really useful for animators because they can see the rendered animation whilst they animate. Lajos: When I tried Blender a few years ago it looked dated and a pain to use. The UI in the old 2.7 version is quite strange and doesn’t appeal to new users. If you look at other modeling suites like 3ds max or Maya, they look modern. In Blender 2.8 the UI is clean and easier to use. What do you still miss in Blender? 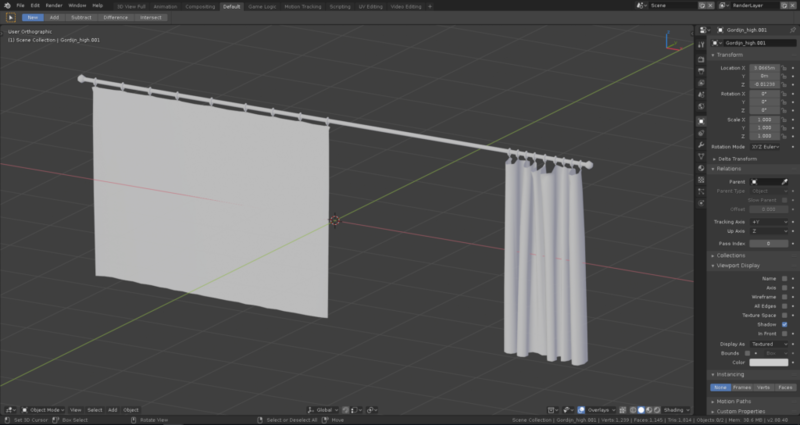 Lajos: 3ds max has a ‘smooth grouping’ option. When you apply the smoothing effect not every face has this effect applied depending on the group. Therefore, a model can still keep a sharp edge between smoothed faces. Blender doesn’t have this feature and has to be accomplished using multiple actions. How is the industry going to change in 10 years’ time? Joel: Obviously graphics are evolving constantly because the gaming industry is growing. I believe machine learning and AI are going to make 3D modeling easier. Programs like substance painter already made texture design simpler. Before you had to design every pixel by hand in Photoshop. This work is enormously tedious and dull. Substance painter does a lot of work for you. A lot of work designers have to do by hand will be procedural generated. Lajos: Like Joel said in the future machines will do a lot of work for you. This make the process faster and perhaps a little cheaper. If you look at 3D modeling 10 years ago much has changed.